An approachable, accessible guide for artists just getting started in drawing with coloured pencil. What medium is as immediately relatable as the coloured pencil? Vibrant, versatile, and familiar, the simple coloured pencil is the proverbial first step on your journey of 1,000 miles on the road to becoming an artist. 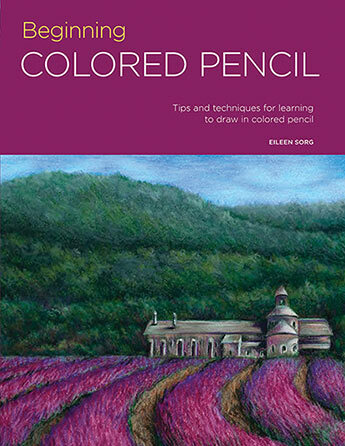 Beginning Coloured Pencil is an inviting and approachable guide loaded with everything an aspiring artist needs to know about coloured pencil, including tools, materials, composition, and colour theory. Walter Foster's Portfolio series takes a technique-driven approach, emphasising topics like blending, shading, and creating form and texture to provide a well-rounded approach that allows readers to master key concepts. We present step-by-step demonstrations with a fresh, contemporary design to keep lessons vibrant, so you can practice your fresh, new skills. Get in touch with your inner creativity, and dive into coloured pencils today! Eileen Sorg is an award-winning artist who lives on the Olympic Peninsula in Washington State with her husband, Scott, and their terrier, Scout. Working primarily with a mixed media technique of coloured pencil, watercolour, and ink, Eileen always strives for unique compositions that set her work apart. She spends much of her time creating custom artwork for her many clients.